For Episode 134 of the AWS podcast,Jeff spoke with Bob Rogers, PhD, Chief Data Scientist for Big Data Solutions at Intel Corporation. We talked about how Bob entered the field of data science, how to get value from data science projects, and some misconceptions around big data. You can listen to the podcast to learn what skills are needed to have a career as a data scientist, and you can also hear Bob’s tips for those looking to become one. Hear what Intel is doing in the big data and analytics space – from the silicon chip to the cloud, and what big data holds for the future. Intel asked that we add the following disclaimer: Intel technologies’ features and benefits depend on system configuration and may require enabled hardware, software or service activation. Learn more at intel.com, or from the OEM or retailer. 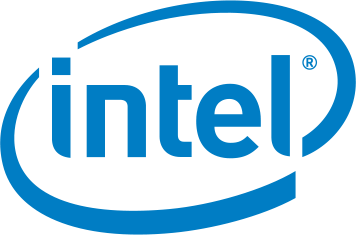 Intel and the Intel logo are trademarks of Intel Corporation in the United States and/or other countries. For Episode 136 of the AWS podcast, Simon takes a look into Amazon EC2 Instance Families. We look at the ways you can get better a cost/performance mix using newer instance family types, how to change your instance type and some of the extra capabilities available including Enhanced Networking and EBS-Optimized Instances. For Episode 135 of the AWS podcast, Simon takes a look into AWS CloudTrail. This service lets customers have tremendous insight into the operations of their AWS accounts. It also opens up a raft of new ways to analyse events from a security, compliance and assurance standpoint. Simon looks at some of the intresting options, uses and reasons you should take a close look at this important service. In this week’s episode, Simon wants to save you money! You might have heard about Amazon EC2 Spot Instances in the past. Maybe you even played with them a little. The capability has come a LONG way with new and interesting features that let customers reduce operating costs by up to 50-90%! We discuss things like Sport Fleet, Instance Termination Notification and a new Jenkins Plugin that uses Spot! Keeping your systems secure is a constant effort, and should be a key focus. Fortunately we have more and more automation available at all points of the system development and deployment lifecycle. In this episode we take a look at the Amazon Inspector service and how it can automate security checking of your EC2 instances. The world of Scientific Computing has been revolutionised by the Cloud. This week Simon speaks with Adrian White from the Scientific Computing team about how HPC and Scientific Computing has been transformed. Lots more information at aws.amazon.com/scico. For Episode 137 of the AWS podcast we explore the new Amazon Elastic File System and Elastic Network Adaptor. There is also a tip on some great free security-related training as well as some very cool updates to Amazon SNS! Simon recaps a raft of updates you might have missed including some major updates to EMR, as well as a host of nifty changes in Amazon Machine Learning, AWS IoT and VPC just to name a few! This week Simon explores a raft of new features in services including S3, Kinesis, EBS, KMS to name a few, plus the new Application Load Balancer. Also a nifty set of "black belt" tips when using Node.js with Lambda. In this episode Simon has a conversation with Vibhor Rastogi who is an Investment Director at Intel Capital. Often there are questions as to what VCs are looking for in Startups, and conversely, what Startups should be looking for in VCs. Many startups use AWS as an efficient, low-cost and scalable platform to try out their ideas, with the ability to scale when they are successful. We discuss some of the nuances of the VC space, what VCs are looking for and how Intel Capital looks to invest in these types of businesses. As many of our listeners are running their own startup - we hope this is of real use! In this episode Simon has a conversation with Abby Fuller from Start-Up https://www.airtime.com. She shares fascinating details about their architecture, the way they scale, and the challenges of working with low latency applications. This Startup Spotlight is brought to you by Intel and AWS. In this episode Simon covers a raft of updates that have happened in the last few weeks - hopefully something for everyone! In this episode Simon discusses AWS Quick Starts with Santiago Cardenas, Partner Solution Architect. They talk about how customers can launch meaningful workloads with just the click of a button and build upon them. In this episode Simon speaks with Willem Sundblad, CEO & Founder at Oden Technologies. They discuss the use of IoT in the manufacturing world, and how that is actually applied. This Startup Spotlight is brought to you by Intel and AWS. In this episode Simon chats with Anthony Johnson, CTO at Giphy (http://giphy.com/). They discuss moving from a monolith to micro services, changing team structure and the pronunciation of “GIF”. This Startup Spotlight is brought to you by Intel and AWS. In this episode Simon chats with Avi Wilensky, Founder & Full Stack Developer, from Uphail. They discuss deployment approaches, scaling and automation. This Startup Spotlight is brought to you by Intel and AWS. In this Episode Simon covers a vast array of updates - something for everyone! Plus a security-related Black-Belt Tip! A quick update from Las Vegas with some great announcements prior to the Keynotes. Recorded live in Las Vegas! Simon covers some AWS updates prior to a BIG week at AWS Re:Invent. Including ALB, S3, Glacier, IoT, Aurora and more! In this episode Simon has a discussion with Will Chiong, Software Engineer at kit.com. They discuss building systems from scratch, monolith vs micro services, using Alexa and other architectural decisions kit.com made on the way. This Startup Spotlight is brought to you by Intel and AWS. Simon has a conversation with Conrad Rushing, VP Engineering at Splash. They discuss Docker, Continuous Deployment, Team Structure and lots of other goodies. This Startup Spotlight is brought to you by Intel and AWS. In This Episode Simon chats with Steve Faulkner, Director of Engineering at Bustle about moving to a serverless architecture, and their open-source project called “Shep”. This Startup Spotlight is brought to you by Intel and AWS.